Free, Clean, Powerful & Easy-to-use Any Video Converter Free Video Player! Any Video Converter Free Video Player is an easy-to-use free DVD Player as well as full-featured Video CD, Audio-CD and media file player. It can provide superior video and audio quality, together with other enhanced functions: e.g. screen capture, optional skins, playback image and DV, add video effects, adjust audio/subtitle synchronization and add subtitle. Free DVD Player supports a very wide variety of video formats. Apart from regular DVD (PAL, NTSC, VCD, SVCD) formats, it also supports the entire range of MPEG4 (including DivX, XviD, etc. ), MPEG1, MPEG2, AVI, Real Media video, Quick Time files, WMV files (including WMV-HD), H.263, H.264, mobile video formats (3GP, 3GP2, MP4). This strong compatibility makes Free DVD Player a universal media player. Free DVD Player is clearly free and absolutely safe to install and run. If you are a big DVD Movie fan and would like to enjoy the latest DVD movies at home, well, the Free DVD Player offers you the Theatre-like DVD / Video enjoyments on PC. Unbelievable, isn't it? Just download it to have a free try! Insert your DVD movie disc to the DVD drive and then click Open Files button on the main window of Free DVD　Player, select Open DVD Disc... This Free DVD Player will play your DVD movies automatically! The same is true with movies. 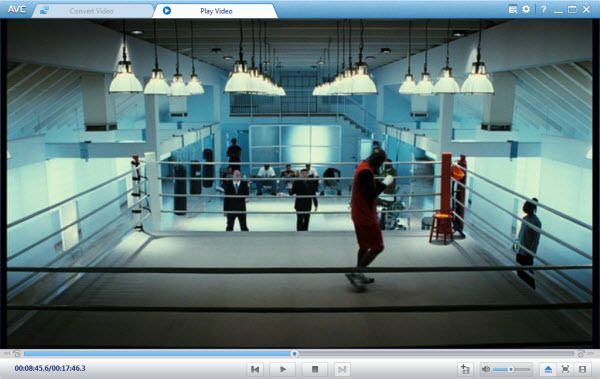 You can also play your movies with Any Video Converter Free DVD Player as well as player. While you are playing DVD movies with Free DVD Player, you can customize your DVD movies' playing in DVD navigation. Please right click in the main window of the player and select DVD navigation. * The free DVD player lets you enjoy the most amazing movie for its various screen displays like Normal display, Letterbox pan&scan , widescreen. * It doesn't only support play DVD movies, but also support a wide range of video formats such as: 3gp, 3g2, asf, avi, amv, dvr-ms, divx, dv, dat, dvr, f4v, flv, mp4, mpe, mgeg2, mpg, mkv, mts, m2ts, mpeg4, mov, m1v, mpv, m2v, ogv, ogm, qt, rm, rmvb, swf, swf, ts, ts, tod, tp, vob, wmv and etc. * Not only load DVD disc movie, but also load iOS image, folder, video/audio file. * Select DVD chapter to play with DVD navigation function. * Fast forward or fast backward the playing video file. * Rotate the moving video when playing DVD with free DVD player as you like. * Offer you the possibility to manage playlist. * Simple and user-friendly interface brings you an excellent visual experience.